← Qiu Ze, Tang Yan–Rumors confirmed? What to say, what to say. This is one of the best series I’ve watched so far. It covered the full range of emotions. Unlike the usual series that I watch, I ended An Suan without feeling the usual guilt of spending time watching a useless show. The acting, witty banter, and plot twists kept me interested, laughing, serious, scared, disgusted….and at the very end, drained. This is one of the many many tv shows from mainland China that depicts the struggles of Communist soldiers (aka Red Army) and the Kuomintang soldiers, Soviets, and Japanese. 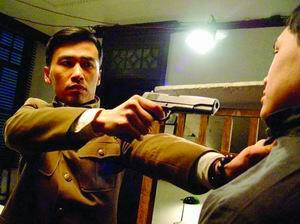 The storyline revolves around a particular division of the Red Army, known as 701. 701 is in charge of tapping into enemy telegraph lines, breaking the coded messages, and communicating information between spies. Accordingly, the series is divided (very cleanly) into three parts: 听风 (listening to wind), 看风 (observing the wind), 捕风 (catching the wind). In the first part, Liu Yun Long (who is also the director of the series) plays An Zai Tian, a man born into the Red Army, raised in Soviet Russia, and aiding the underground effort to tap into all enemy telegraph lines. Trouble strikes when none of the workers can find any of the lines, and 701 guesses that the enemy (the remnants of the Kuomintang army) have switched to different radio waves (basically they can’t find the appropriate radio frequencies). To aid the war effort, An Zai Tian seeks the help of a blind fool (literally) named Ah Bing, because Ah Bing has amazing hearing. For example, he can differentiate between genders and discern familial relations among humans and animals. He helps 701 to find hundreds of radio stations, and in return, the division helps him to find a wife. All characters are very fleshed out, with Ah Bing’s sensitivity, and loyalty to kindness excellently conveyed. 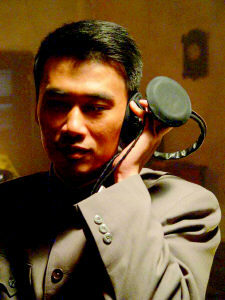 An Zai Tian is decently portrayed by Liu Yun Long. My only point of frustration was when An Zai Tian blamed Ah Bing’s wife, Xiao Fang, for giving birth to a son with another man (the explanation for this otherwise wicked act, is perfectly acceptable). I understand that Ah Bing is no ordinary person and needed extra support and love from 701, but at times, I think they should’ve taught him to be a better person, instead of humoring and spoiling him. The tragedy could have been avoided. 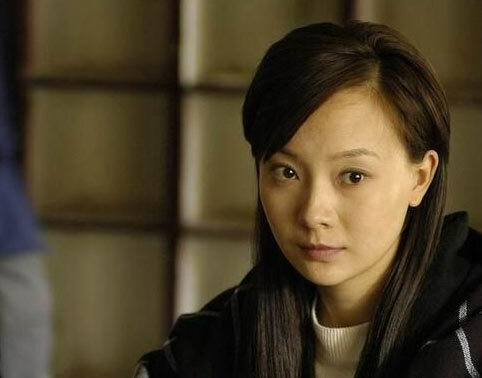 The second story arc centers on An Zai Tian and Huang Yi Yi, a talented mathematician who is asked to help break the coded messages of the Soviets. She is known to have a very…untidy personal life (predictable explanation is that she craves love from men). She falls for An Zai Tian, but he constantly rebuffs her bold advances and declarations out of respect for his dead wife. It is later revealed that his wife sacrificed herself to save the spy efforts right in front of An Zai Tian. This story also ends in tragedy…..now that I think about it, all three stories are tragic (in terms of personal tragedy, but professionally successful). It is very to sympathize with Huang Yi Yi (the emotional parts of this story are so frustrating) since An Zai Tian is such an attractive character (no joke, Liu Yun Long is meant to play roles like this). As for the last arc, An Zai Tian is reminiscing about his father, Qian Zhi Jiang (also played by Liu Yun Long), a spy for the Red Army in the ranks of the Kuomintang workers. When an important telegraph is intercepted by Kuomintang authorities, he tries his hardest to warn the Red Army leaders, but a Kuomintang division has started investigating for moles. Five people, including Qian Zhi Jiang, are locked up in a building until one of them confesses. Through a series of mind games and ingenius plots, Kuomintang never finds out that Qian Zhi Jiang is the mole and he successfully warns his leaders of the exposed message. I’m afraid I’ll have to stop here, or else this post will be reduced to my squeals of OMYGODHISDADISSOHOT. But seriously, you have the watch it to believe it. Liu Yun Long is made to play characters like this. To conclude, this series was based on a novel, and due to its success, the first and last stories inspired the movies Ting Feng Zhe (听风者 aka The Silent War) starring Zhou Xun and Tony Leung, and Feng Sheng (风声 aka The Message) starring Zhou Xun and Li Bing Bing. This entry was posted in Chinese Dramas, Drama Recaps/Reviews and tagged An Suan, Liu Yun Long, 暗算. Bookmark the permalink. Okay your review makes me want to see this one. I’m so glad you brought up a drama where it doesn’t seem to depend on already popular/idol stars, it’s refreshing. One of my favorite cdrama that is similar is 五号特工组.